According to the apex IT industry body Nasscom, the Union Budget 2018-19 is focussed on digitalisation for the country's development. The apex body also applauded Finance Minister Arun Jaitley for the investments on Artificial Intelligence (AI) and creating a 5G test-bed for better mobile services. The Nasscom claimed that these step will help India to grow globally in terms of technology. The Union Budget 2018-19 reflects the government’s commitment to digitalisation for the country’s development, IT industry’s apex body Nasscom said on Thursday. “The Budget reflects the government’s commitment to digitalisation as a key force for the country’s development strategy. The focus on ‘ease of living’ will spur greater use and deployment of technology across verticals, a Nasscom statement said here. Lauding Union Finance Minister Arun Jaitley for increasing investment on Artificial Intelligence (AI), initiative on cyber-physical systems and focus on creating a 5G test-bed for better mobile services, the apex body said the steps would enable India to leapfrog into emerging technologies globally. “The Budget proposal to review the outward direct investment will be relevant to the IT sector, as it charts its global growth trajectory,” said the statement from the National Association of Software and Services Companies. On including additional criteria for taxing overseas firms, Nasscom said in a growing digital economy, the proposal would be applicable to companies which may not have a physical presence in the country. “The tax proposal could be relevant to the technology sector, as internet-driven businesses and cloud-based platforms blur geographical boundaries,” the statement added. On the National Health Protection Scheme (Aysuhman Bharat programme), envisaged as the world’s biggest healthcare initiative, Nasscom said the ambitious scheme would be a key differentiator for the healthcare sector as it would benefit 10 crore families or 50 crore people across the country. “The ambitious scheme will create immense opportunities for the technology industry and start-ups to build solutions that enable the transformation,” said the industry body. 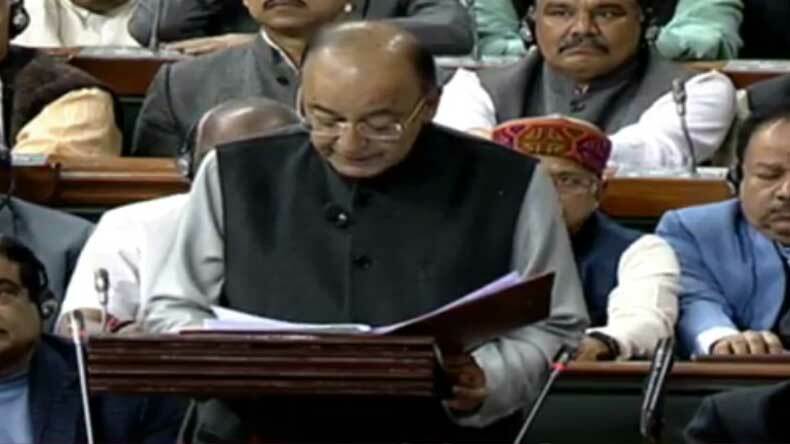 The Budget has also clarified eligible businesses for a start-up with the modified definition by the Department of Industrial Policy and Production. “Extending the Start-up India scheme to March 2021 and rationalizing the condition of turnover will enable tens of thousands of start-ups to avail benefits under the Act,” asserted the statement. The Budget policy for hybrid instruments, which are suitable to attract foreign investments in niche areas, will be an advantage to start-ups and venture capital firms. “The Budget creates a right environment for Fintech firms to grow and has a commitment to adopt blockchain technology in government offices,” said the statement. The financial allocation to the Bharatnet project along with the setting up of Wi-Fi hotspots in rural areas will boost the rural digital economy, helping the country to bridge the digital divide. “The focus on raising farm and rural incomes will accelerate the proliferation of the digital economy in rural India, with consequential benefits and multipliers accruing from it,” added the statement.